Cry in the Dark offers the chance to volunteer every year to dozens of teams and individuals. Volunteering provides the unique opportunity to get involved directly in the care and welfare of the wonderful children who we work with in Romania through our hospices and healthcare programmes. We look forward to welcoming you to Romania soon! 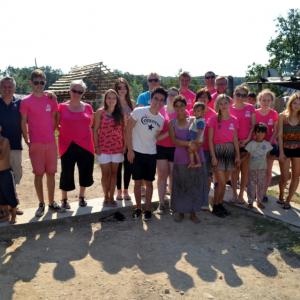 Our week long mission trips offer a great opportunity for volunteers to experience working with marginalised and vulnerable people at our charity projects in Romania. Why not put your faith into action, roll up your sleeves and get stuck in! 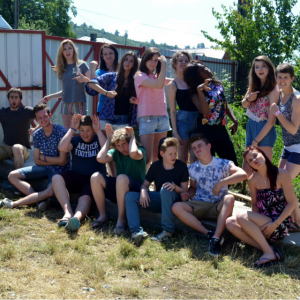 This summer could be your time to step out in faith and deepen your relationship with God with a short gap year in Romania in the form of summer volunteering. Have you got a group of Year 10+ students who would like to experience what working at our projects is all about? Check out what a typical youth trip looks like. 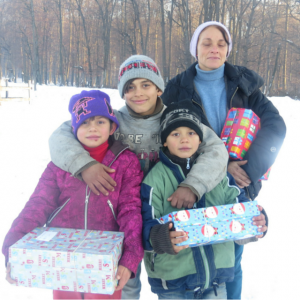 We take personalised shoeboxes filled with gifts to each of the people we work with in Romania. If you think you could fill a box especially for one of our young people, then get in touch!